For me, this was perfect timing. 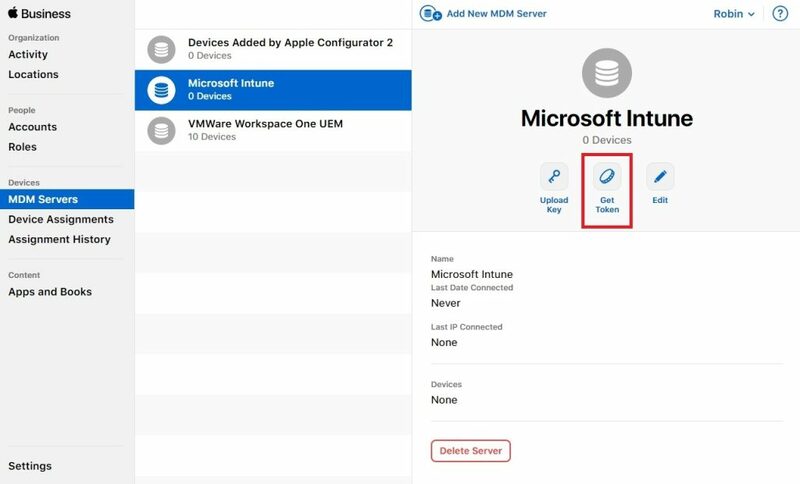 I had a customer who wanted to migrate from another MDM solution to Microsoft Intune and also use Apple DEP. 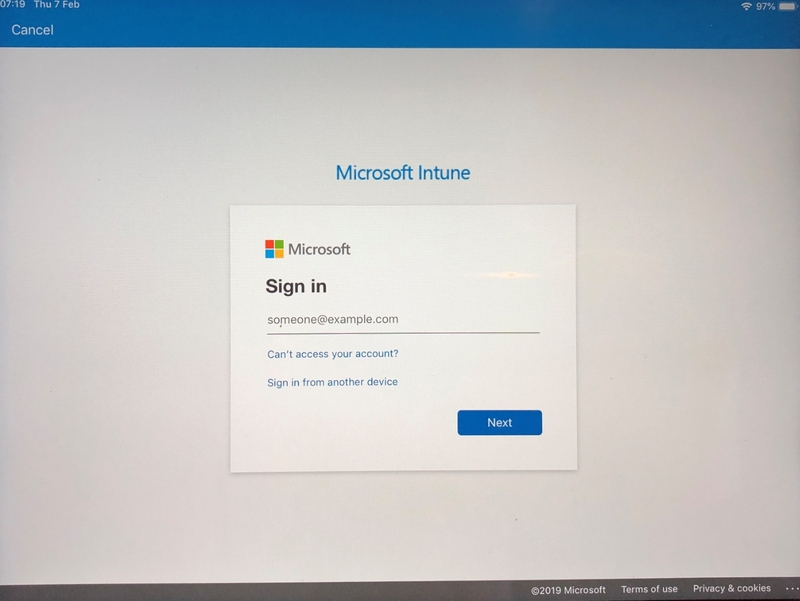 They were immediately able to use these new features of Microsoft Intune. 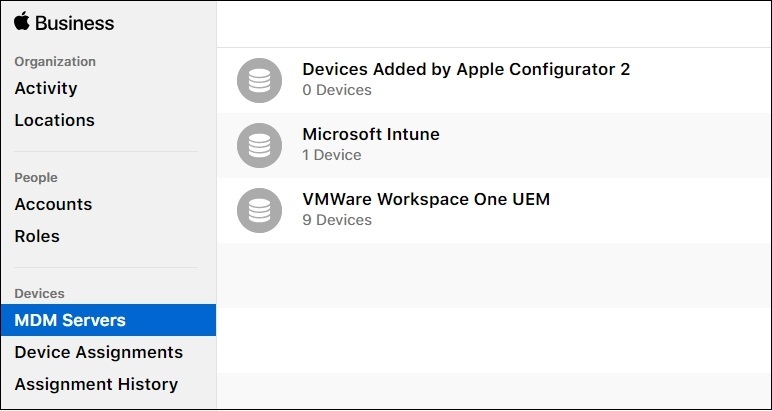 This inspired me to write this blog to explain how Apple DEP could be configured within Microsoft Intune and also how to migrate existing DEP devices to Microsoft Intune. 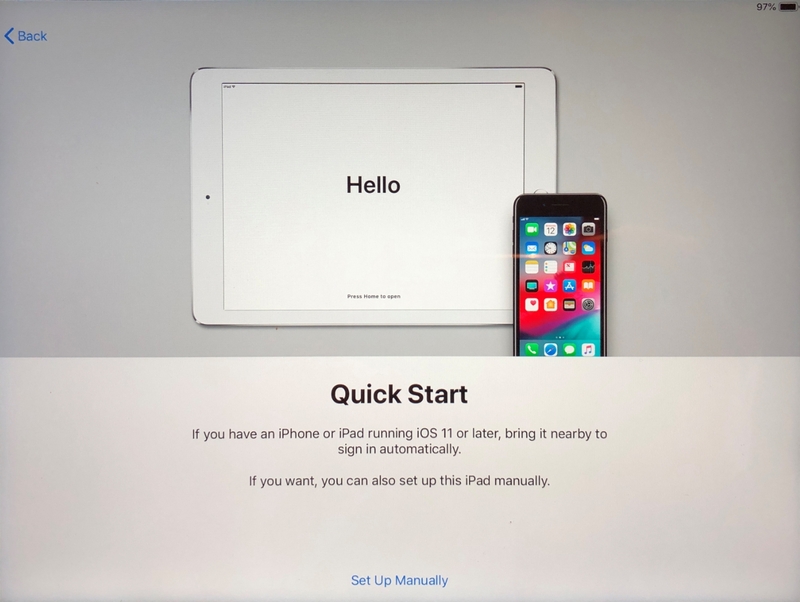 Every iOS or MacOS devices that startup for the first time (new out of the box or after a factory reset) must be activated by Apple. This process happens automatically. 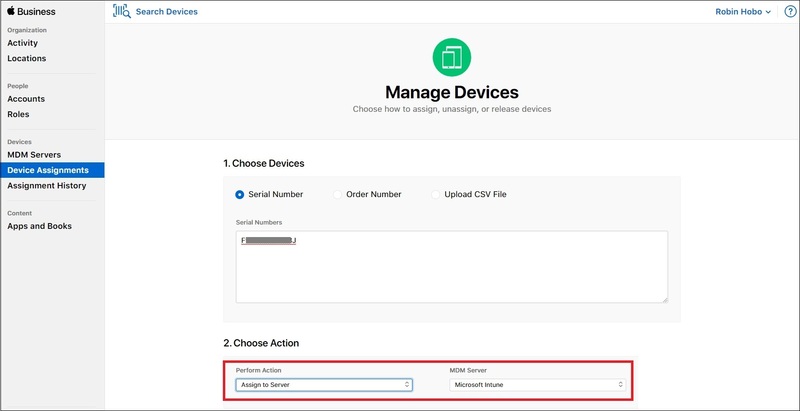 With the Apple Device Enrollment Program (DEP) you can, based on the serial number, indicate which devices are company-owned and start an automatic MDM enrollment process on these devices during the activation. Once this is configured, it is impossible for the end user to bypass this enrollment process. 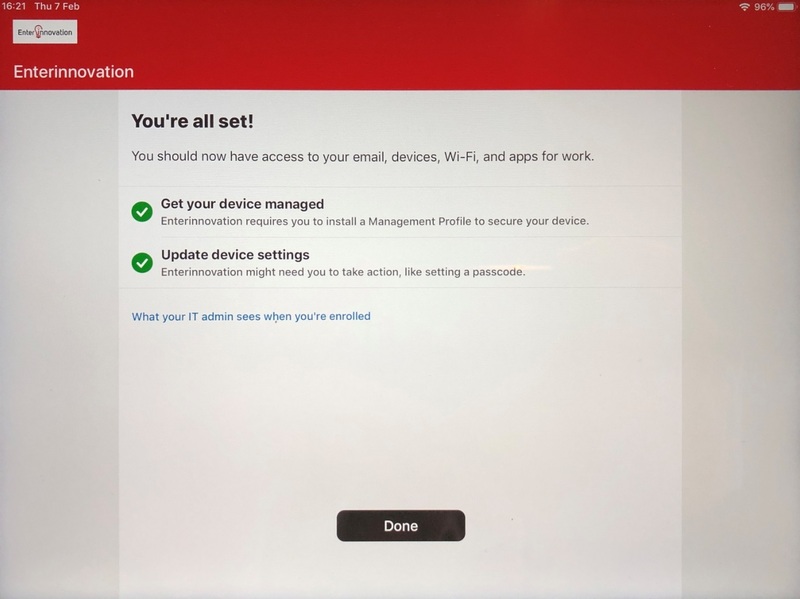 In this way, the company always has control of the device and has the ability to protect company data, even after a factory reset on the device. 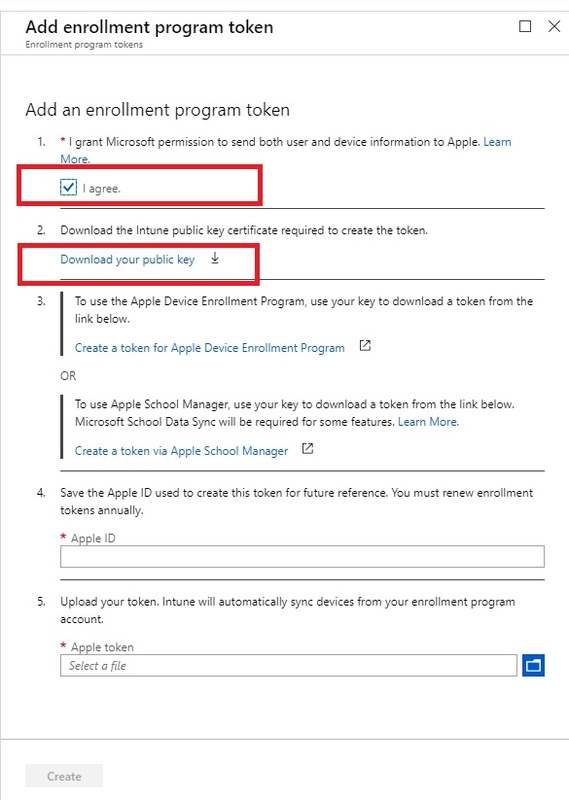 The first step is to connect your Apple DEP account with Microsoft Intune. Login to the Microsoft Azure Portal for the next steps. Open a new browser of tab and login to the Apple DEP Portal / Apple Business Portal with your Apple ID. 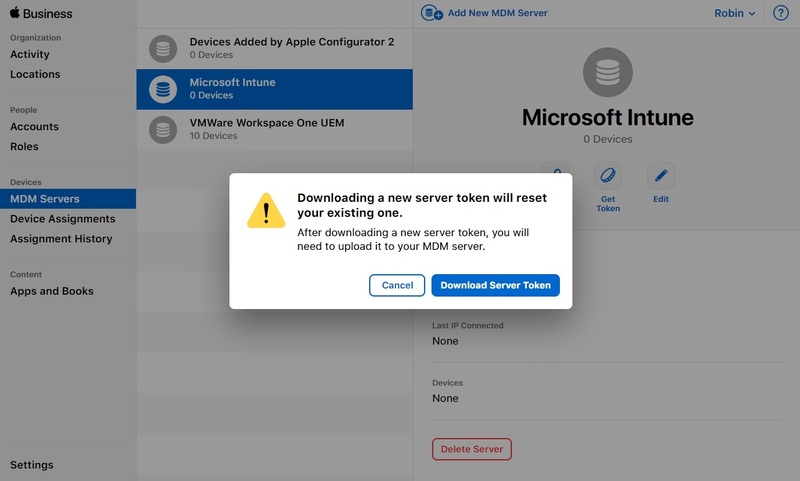 Give the MDM Server a name, in this case Microsoft Intune. Click Upload File and browse to the just downloaded public key from the Microsoft Intune console. 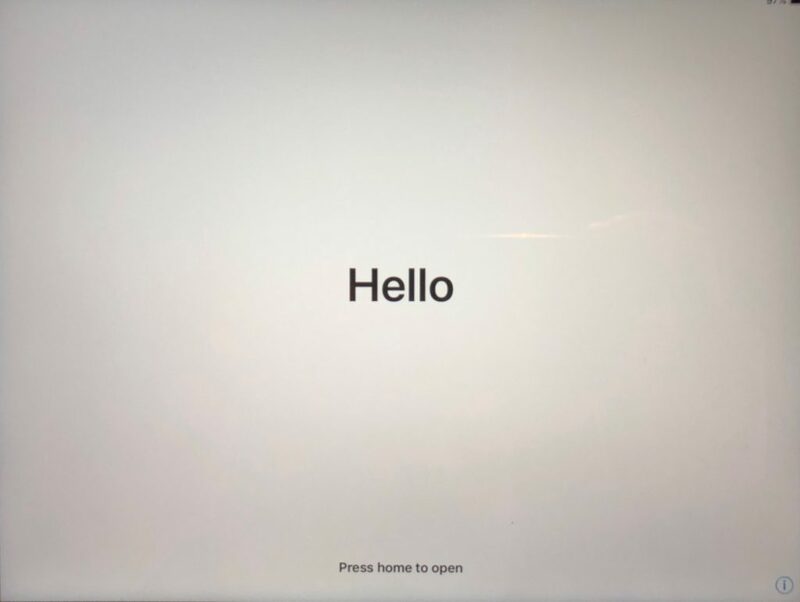 The second step is to create an Apple DEP Profile and assign this profile to devices. Click the just created Apple DEP server. Give this profile a name and a description. Select the Platform (iOS or MacOS). Select whether you want to use the Company Portal app for authentication instead of the Apple Setup Assistant. I will set this to Yes. 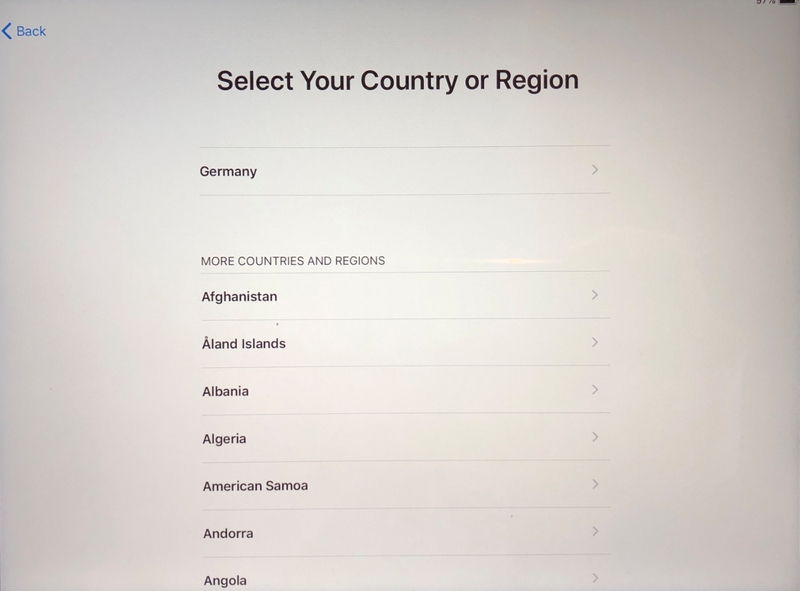 If you are using Apple VPP for deploying the Company Portal (recommended) select your VPP token. You can choose if you want to run the Company Portal in Single App Mode until authentication. I think this is a great feature and I have selected Yes (see the results in the last step of this blog). Open the Device management settings page. 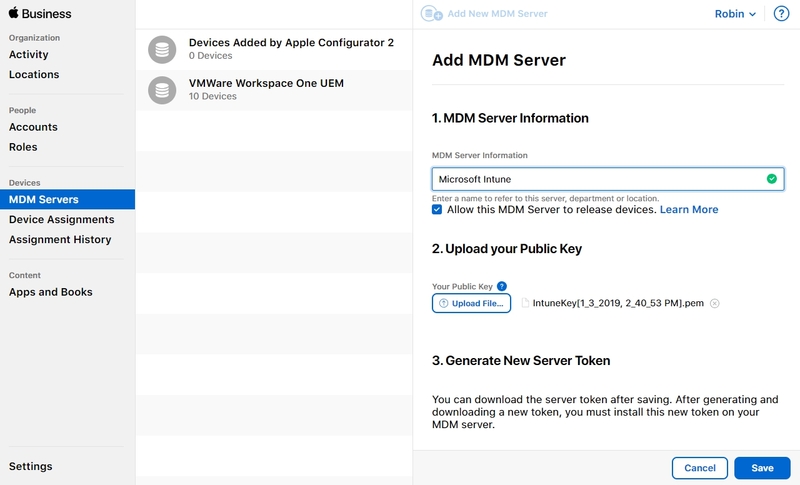 Here you can configure whether you what to configure a lockdown environment (so that users cannot remove MDM profiles) and if the device can be synced with a computer. 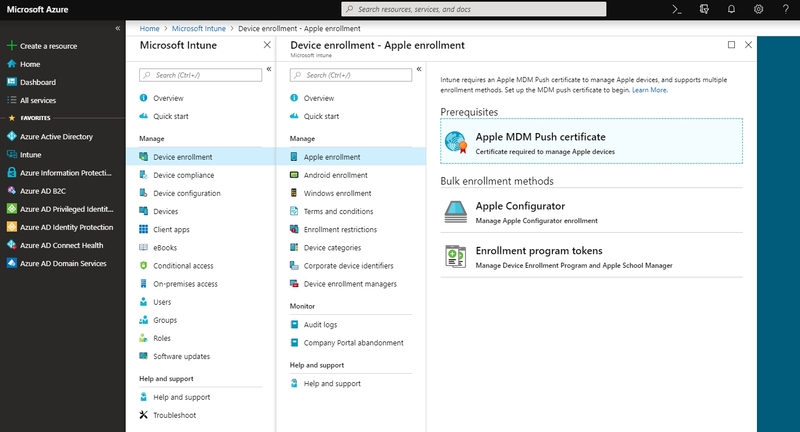 Devices needs to be assigned to Microsoft Intune within the Apple Business Portal / Apple DEP Portal. Login to this portal for the next steps. Click Device Assignments. 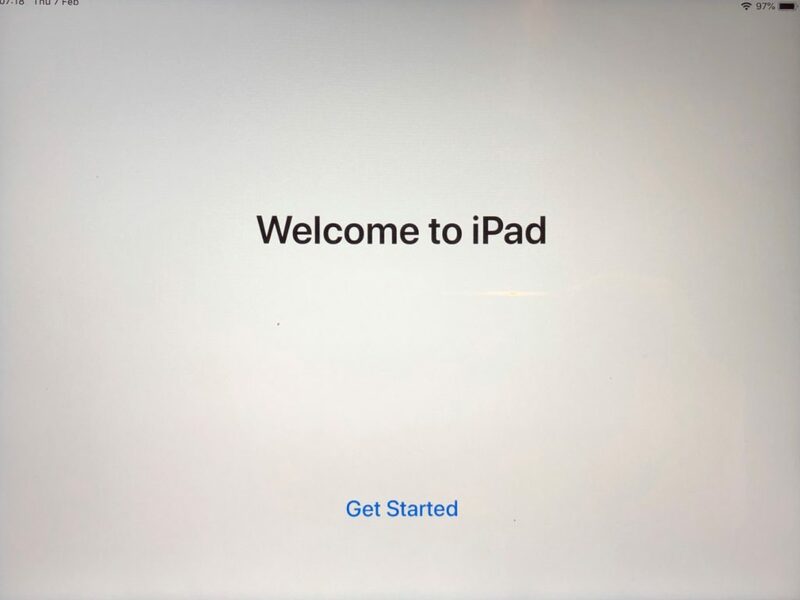 On this page you can assign devices to a MDM Server. This can also be existing devices that are currently assigned to another MDM Server, like in this case. 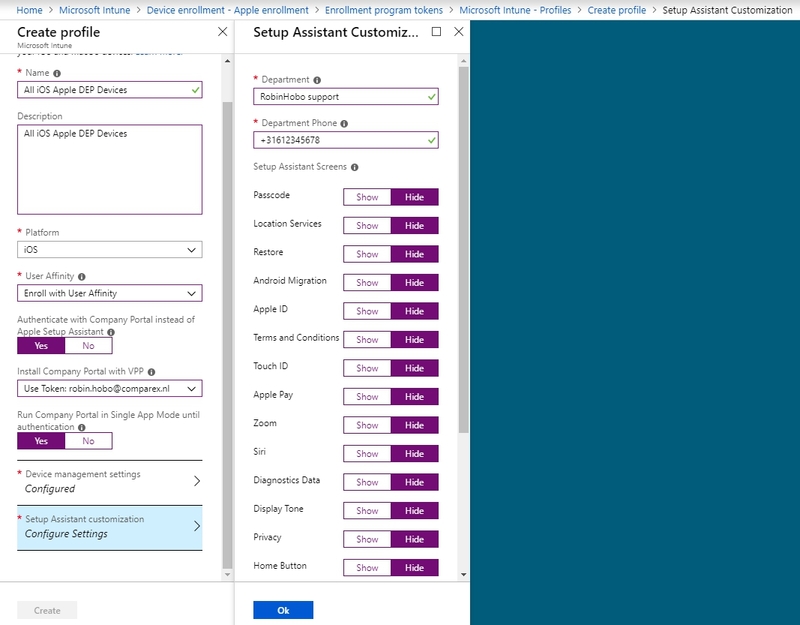 Fill in the Serial Number(s) and below Choose Actions select Assign to Server and select Microsoft Intune as MDM Server. When you take a look at the MDM Server page, you can see the numbers of devices assigned to each server. Go back to the Microsoft Intune portal and open the Device page. Click Syn. All assigned devices will appear in a few minutes. 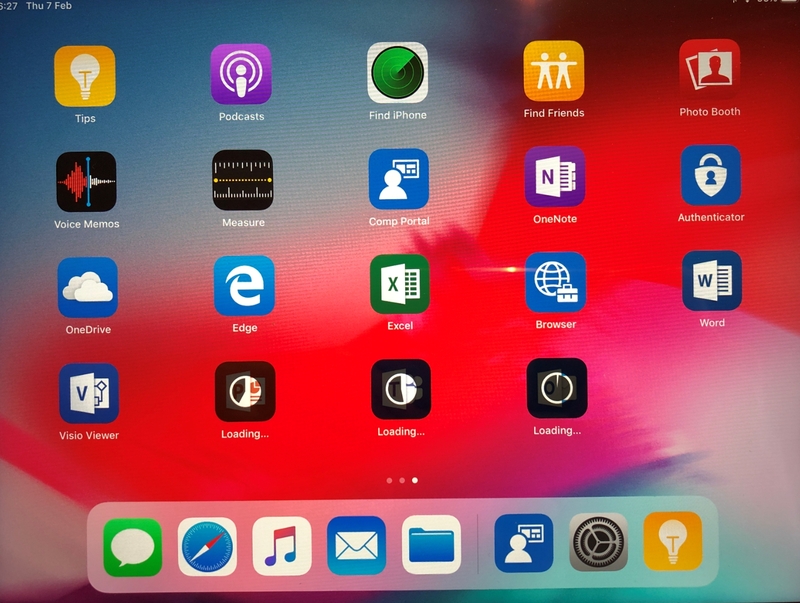 Now that everything is configured, lets test the results on a new Apple iPad. And that’s it, just as we configured it with no additional setup screens. Click Get Started. The Intune Company Portal app is automatically installed and launched. Before authentication the user cannot do anything else. Login with your company credentials. 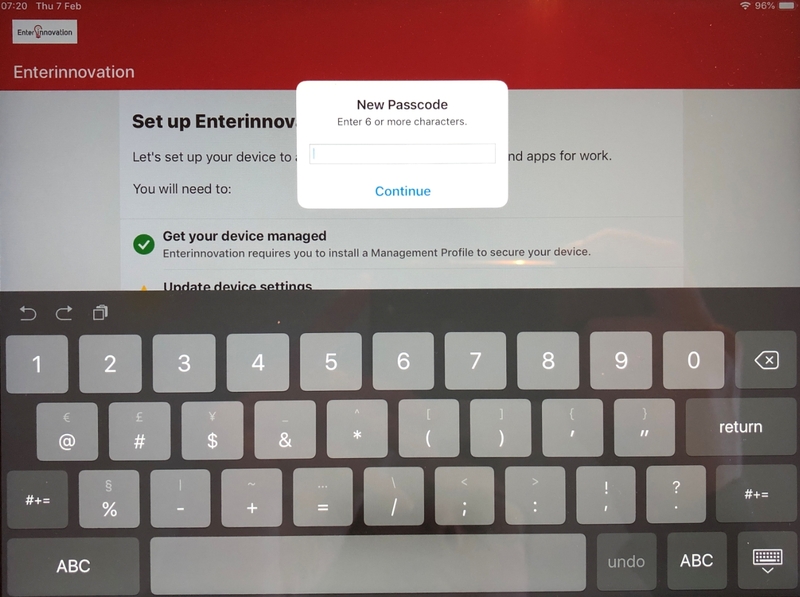 If a Passcode policy is pushed to the device, like in this case, the user gets prompted to set a new Passcode. 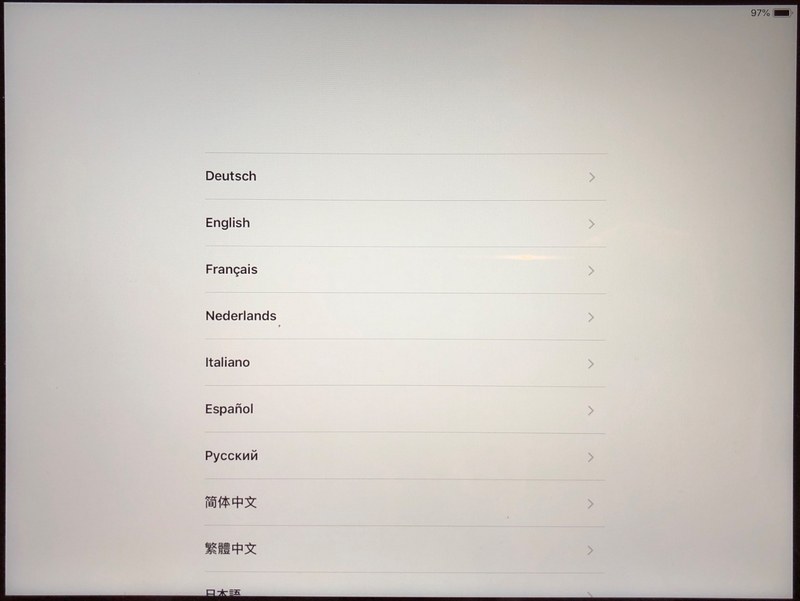 All other applications will be installed automatic without any Apple ID (if using Apple VPP) and the iPad is released for use. What would you say is the advantages and disadvantages with enrolling using company portal? In my opinion, using Setup Assistant is even more seamless end user experience. The only downside i have discovered so far is no MFA support. Thanks. It’s what you say. No modern authentication modes are supported with Setup Assistant. Another advantage of using the Company Portal app as authentication is that you can push apps device based before the user authenticate. Thanks Dean, unfortunately I don’t own a Mac OS device so I’m not able to make this blog at this moment. Hope to make this blog in the near future. 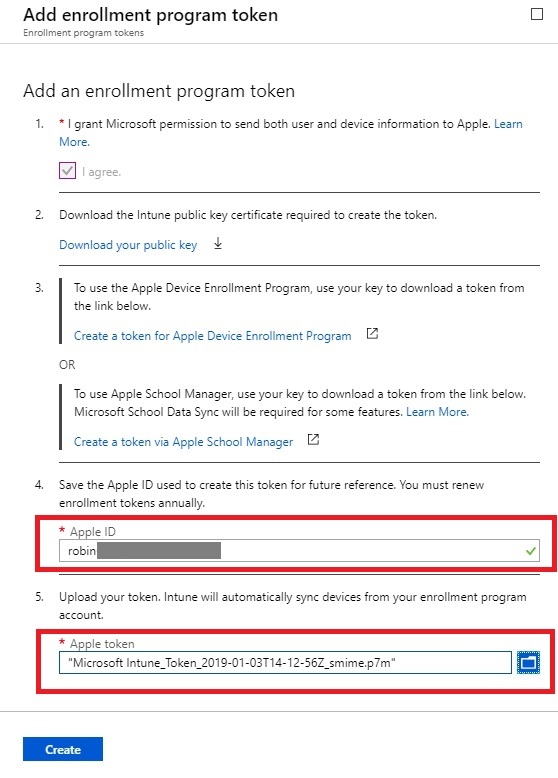 If the above is configured and devices (iPhone,macbook and iPads) are automatically enrolled, does this mean the devices can never been removed ( by an end user) from Intune ? Hi Dan, yes that is correct. After a factory reset, the device will automatically re-enroll itself with Intune again. Thank you – this is a great up to date blog! nice blog. 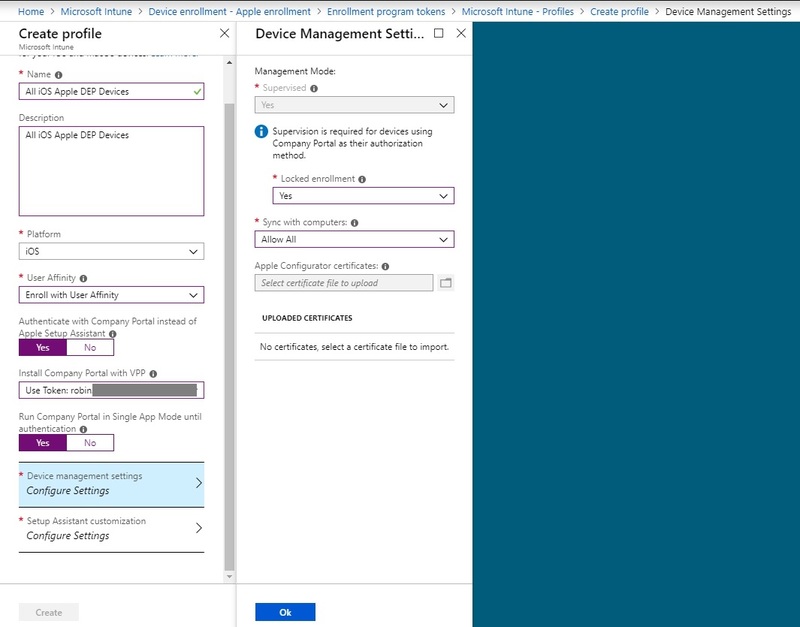 quick question, how can we assign devices to new DEP profile from a different O365 tenant (different MDM server). My situation is that I am moving devices completely from one tenant to another tenant so I need to assign new profile I believe and for that I need to do all these steps from scratch as wells as end users has to do all these steps again? Is there a way to do this switch without any affect on end users? There is always the need to re-enroll the device after moving from one DEP profile to another to take affect. 1) Add the new MDM server to your current DEP account. 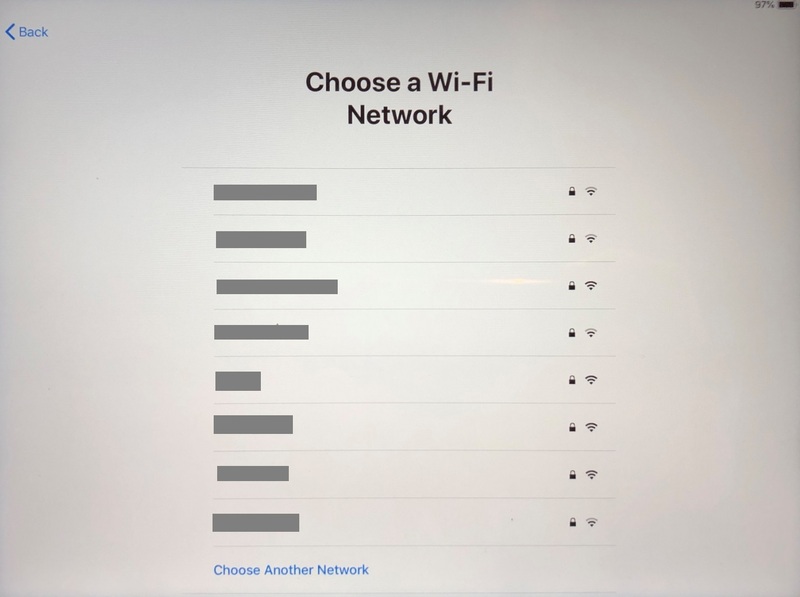 2) Unassign the devices you want to move to the new tenant. One question I do have. 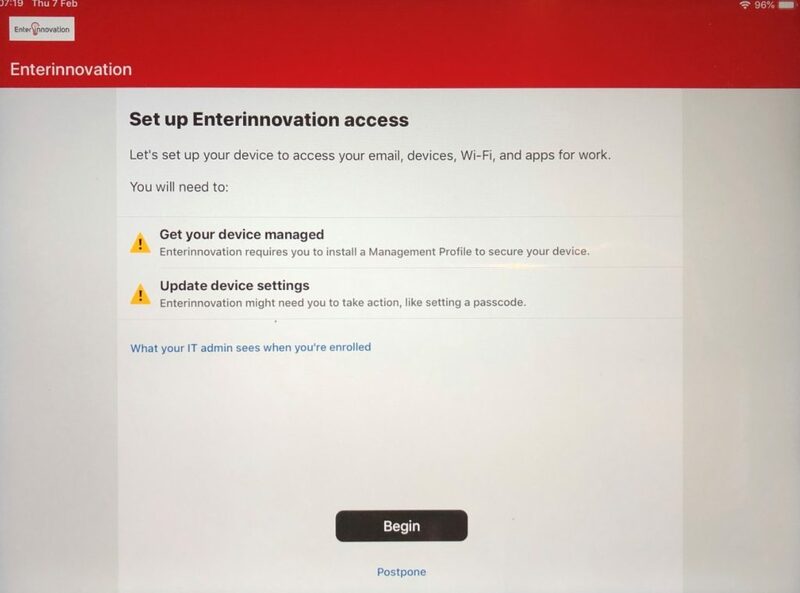 We currently have this setup, new devices purchased from our supplier are added into our DEP account and we can add them into Intune. Is it possible to have these migrated to a new Intune tenant ? Yes, see my previous replay. Do you know what the option Sync with computers actually does when creating a profile ? Robin- The walk through was really helpful. 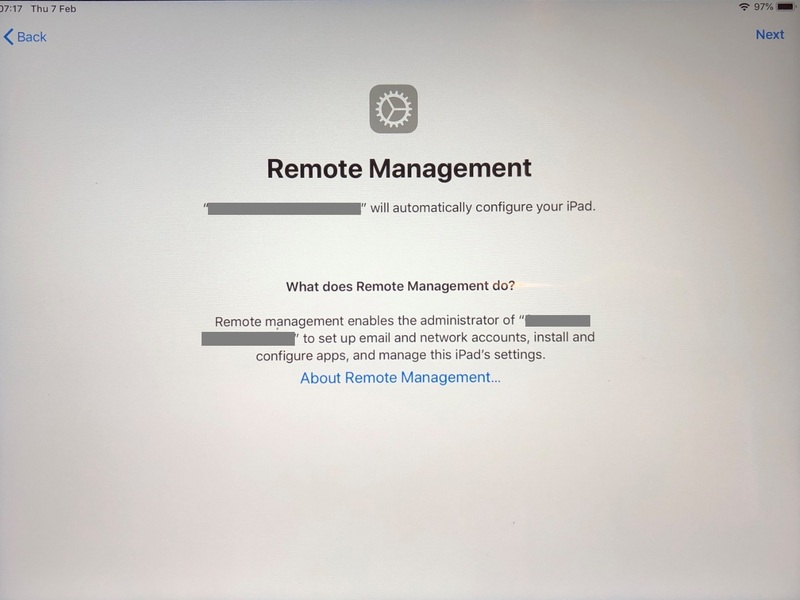 Using a DEP device, I’m stuck at the remote management screen, the configuration is not available. Any ideas? Got it. Had to do another sync inside of InTune to DEP.